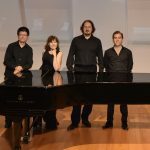 The St. Petersburg Piano Quartet was founded in 2014, and made its New York City debut with two successful concerts on the popular Barge Music Series. 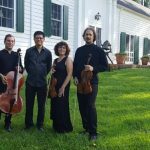 Since then, the Quartet has performed at many venues including the Da Camera Society in Los Angeles, Music Mountain and the Flagler Museum in Palm Beach, Florida. 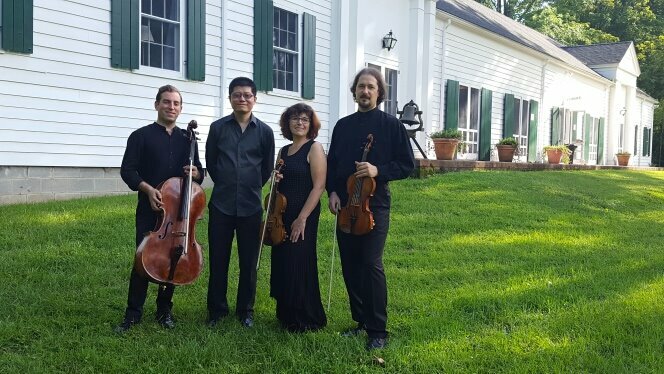 Alla Aronovskaya and Boris Vayner are first violinist and violist with the St. Petersburg String Quartet, one of the world's most esteemed chamber ensembles. 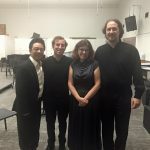 Tao Lin has been soloist with several orchestras including the Moscow Chamber Orchestra, the Winnipeg Symphony and the Miami Chamber Orchestra. 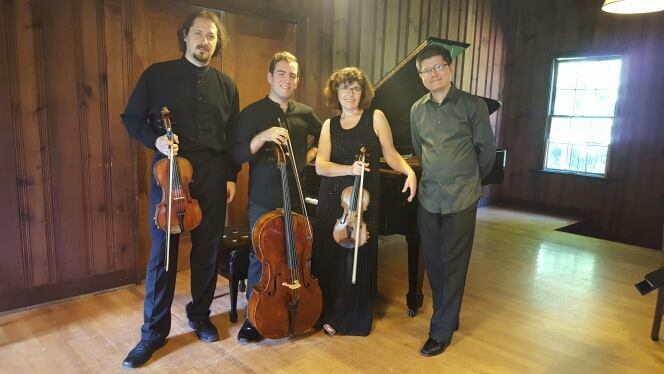 He was a founding member of the Berlin Piano Quartet and the Brahms Piano Quartet. 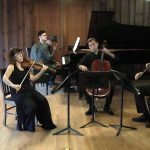 Tao Lin has won prizes at numerous competitions and is an Artist Faculty member at the Bowdoin International Music Festival. He is a Steinway Artist. 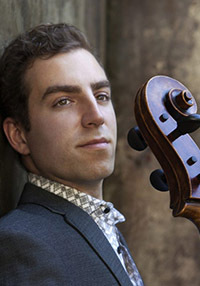 Cellist, Thomas Mesa won the $50,000.00 First Prize in the 2016 Sphinx Competition. 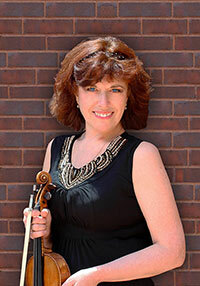 Hr has toured with Itzhak Perlman, and has been soloist with the GRAMMY-Nominated “ The Crossing Choir”. 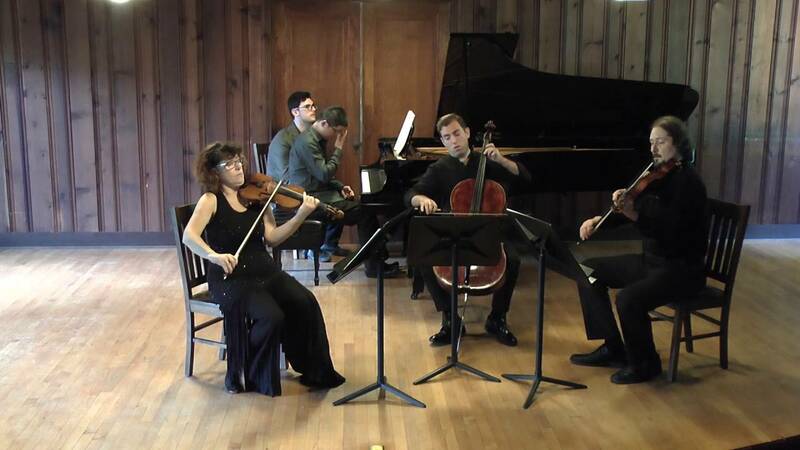 Thomas has performed at many prestigious venues including Carnegie Hall, Alice Tully Hall and Boston's Jordan Hall. 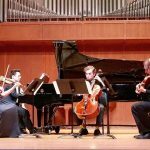 A graduate of the Juilliard School and Northwestern University, Thomas currently is a doctoral candidate at the Manhattan School of Music in New York City. Alla Aranovskaya received her education at the St. Petersburg State Conservatory of Music and the Rimsky-Korsakov Music College in St. Petersburg, Russia. Combining her performing and teaching careers, she has more than thirty years of teaching Master Classes and workshops around the world. 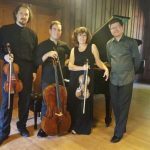 Alla was a prize winner in the All-Russian Violin Competition (1985) and in international chamber music competitions in Melbourne, Australia (1991), Tokyo, Japan (1989) and Florence, Italy (1989). Boris Vayner was born in Novosibirsk, Russia. 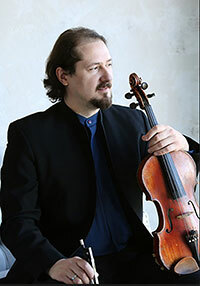 He studied Viola at Novosibirsk Music College, St. Petersburg Conservatory and the New England Conservatory of Music in Boston, Massachusetts, U.S.A. His performing career has taken him around North America, South America, Europe and Asia.Boris was the winner of the Solo Violist Award at the Gartow Fund Competition in St. Petersburg. 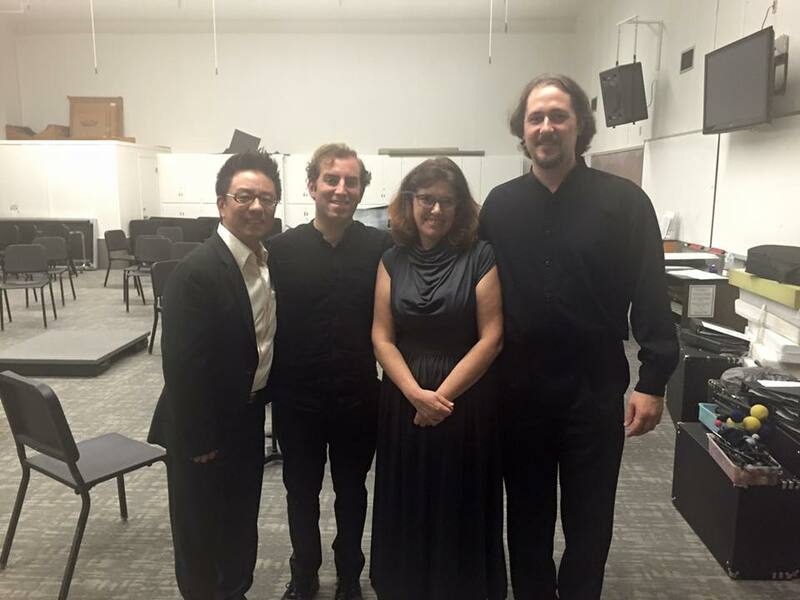 In addition to performing, Boris is currently pursuing his Doctoral Degree in Conducting at the University of Missouri, Kansas City. Tao Lin was born into a musical family in Shanghai. 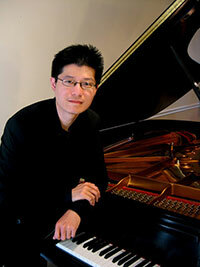 He began piano lessons at age four, first with his Mother and later his Father. 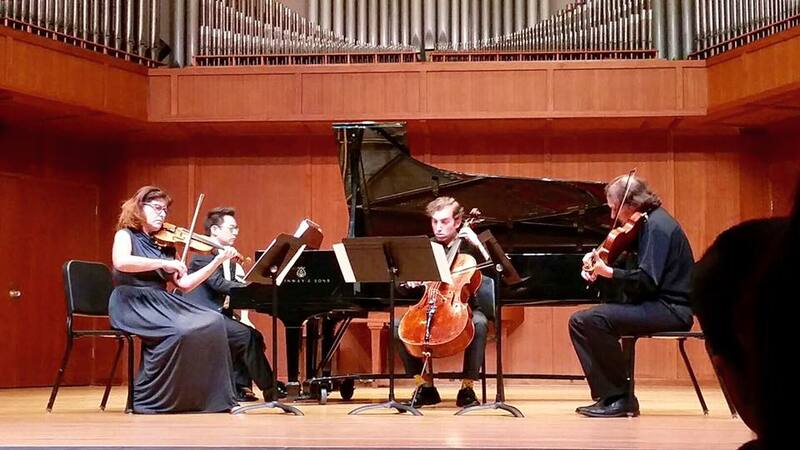 Both were on faculty at the Shanghai Conservatory of Music. Tao gave his first public performance at age eight, gaining entrance to the Shanghai Conservatory of Music. As a teenager, he performed in the Chinese Premiere of Bartok's “Sonata for Two Pianos and Percussion”, a major musical event of the time. After moving to the United States, Tao Lin continued his active performance career. 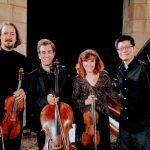 Thomas Mesa, Cuban-American cellist, is quickly establishing himself as one of the most charismatic and versatile performers of his generation with a wide variety of solo engagements across the United States. 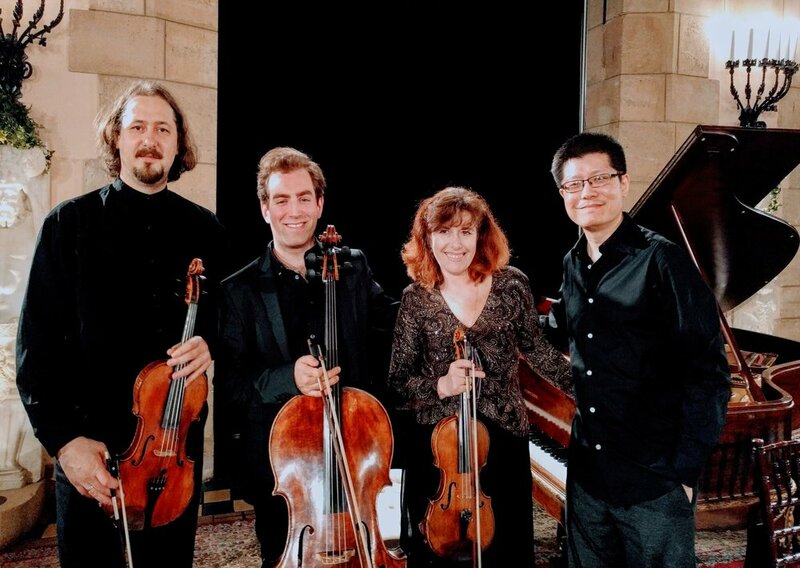 He is a graduate of The Julliard School where he received various scholarships; and Northwestern University where he was the recipient of the Richard and Helen Thomas Fellowship and Graduate Program Honors for extraordinary contributions to the String Department. 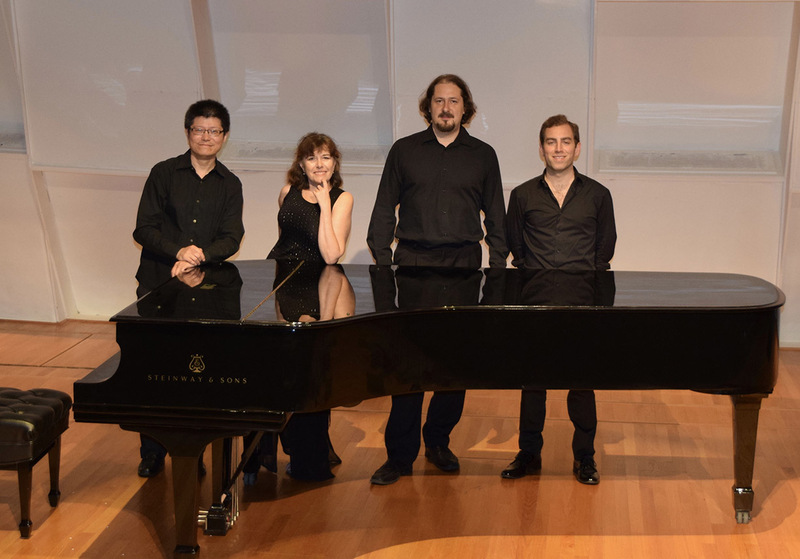 Currently, he is a doctoral candidate at the Manhattan School of Music in New York City where he studies with Julia Lichten.